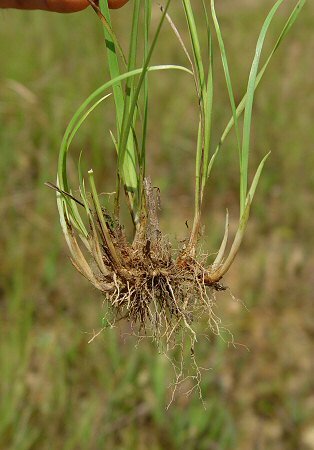 Habitat - Marshes, flatwoods, bogs, wet prairies, ditches. 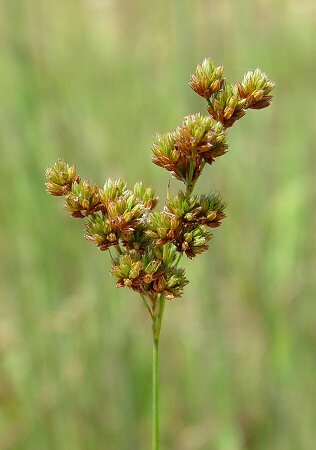 Other information - This rush species can be found throughout Alabama. 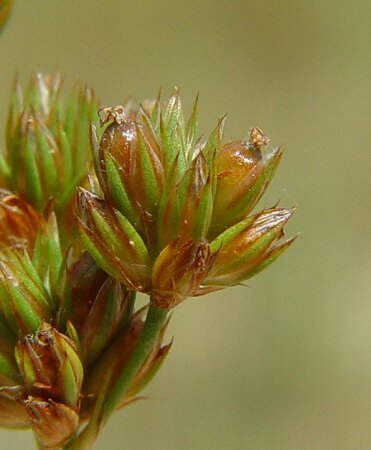 The plant can be identified by its mostly open inflorescences and obovoid fruits. 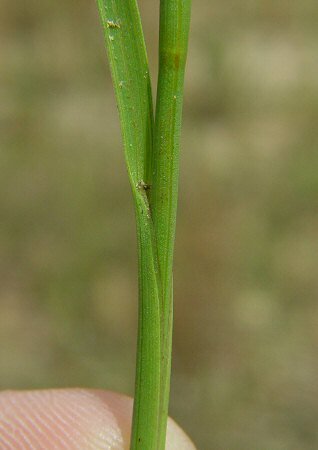 The sepals are as long as or longer than the fruits. 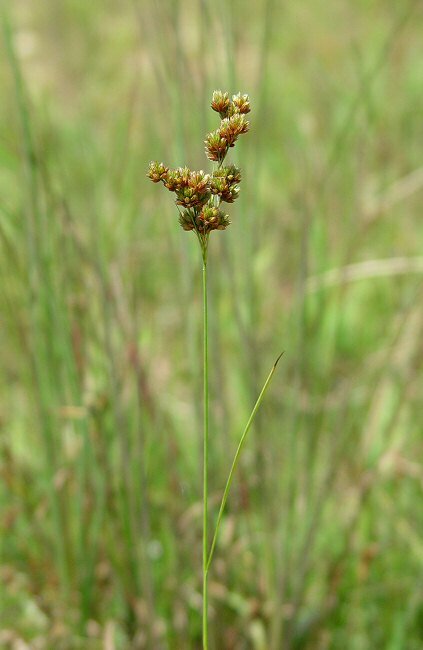 The genus Juncus derives from the Latin "junc(us)" "meaning "a rush, reed" and is the classical Latin name for the genus. The species epithet marginatus derives from the Latin "marg(in)" meaning "a border, edge" referring to the hyaline margins of the petals. Photographs taken off Lee Rd 27, Auburn, AL., 9-9-05.